By becoming an ongoing subscriber, you'll be sure to get the latest and greatest Pathfinder and Starfinder products shipped to you directly from the Paizo warehouse upon release. There are a variety of subscriptions to choose from; with benefits ranging from FREE PDF copies, discounts, and more. As a bonus, when you sign up for to Pathfinder Adventure Path or four physical Starfinder subscriptions you'll qualify to gain access to the Paizo Advantage, which grants you a 15% discount on most products available on paizo.com! Check out the Paizo Subscription FAQ for more details. Paizo Advantage is your opportunity to save 15% on most products available on paizo.com (except for non-Paizo downloadable files and charity items). This discount even applies to other Paizo subscriptions! Plus, you are be able to use your discount when shopping at conventions like PaizoCon and the Paizo booth at Gen Con. The Paizo Advantage discount does not usually stack with other discounts. If a product has already been discounted or is on sale, you'll receive the better of the two discounts. Qualifying subscribers automatically receive their Paizo Advantage discount once their first subscription item ships, and only as long as their subscriptions remain active. There are two ways to gain access to Paizo Advantage: by becoming a Pathfinder Adventure Path subscriber, or a Starfinder Superscriber. If you are Pathfinder Adventure Path subscriber, as well as a Starfinder Superscriber, your Paizo Advantage benefit does not stack. In addition to the Paizo Advantage, Pathfinder Adventure Path subscribers receive a 30% discount off of the cover price, as well as a free PDF version, for each volume shipped as part of their subscription. Learn more about the Pathfinder Adventure Path Subscription. To become a Starfinder Superscriber and gain the Paizo Advantage benefit, you must be subscribed to four physical Starfinder subscriptions. In addition to this discount, Starfinder Superscribers receive a free PDF version for each item shipped as part of their subscriptions (where applicable), and will also receive a free digital Starfinder Society Roleplaying Guild Scenario subscription. Learn more about Starfinder subscriptions. 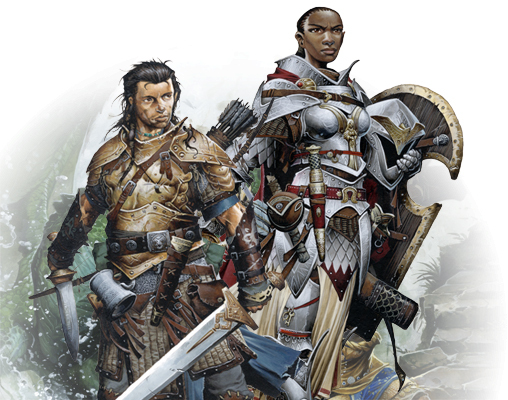 The Pathfinder Roleplaying Game line gives you the tools to start and enhance your own campaign. This subscription includes rulebooks, monster and stat block volumes, as well as rules-focused supplements and accessories. Set thousands of years in Pathfinder's future, Starfinder is a stand-alone roleplaying game evolved from the Pathfinder rules and designed to bring you a whole new universe of science fantasy adventures. Play alien races both new and familiar as you explore the mysteries of a weird galaxy. Will you be an android assassin fulfilling corporate contracts, or a plucky ratfolk mechanic? A spellhacking lashunta technomancer, or a rakish human pilot? Uncountable worlds are waiting for you and your intrepid crew! The world of Starfinder puts you and your friends in the role of a rag tag starship crew exploring the mysteries of a weird, science-fantasy universe. 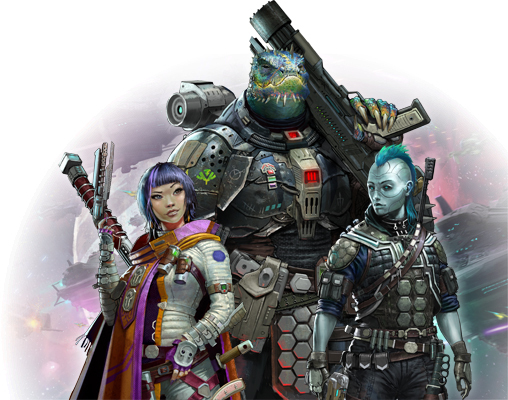 The Starfinder Roleplaying Game line of products gives you the tools to personalize your own campaign, including rulebooks, volumes of aliens, and strange worlds to keep your game fresh. Each Adventure Card Game base set comes with several character options, and takes you through the first Adventure Deck of a given Adventure Path. 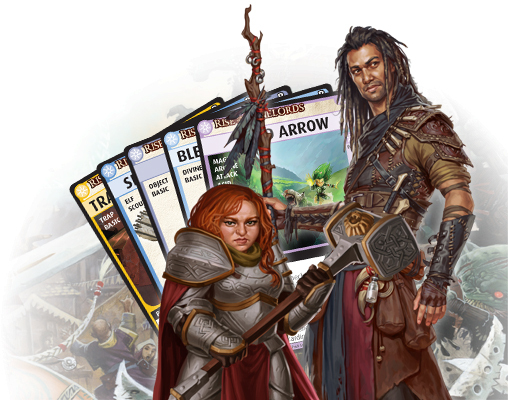 Paizo releases Pathfinder Adventure Card Game Base Sets annually, with monthly six-volume supplements (including more character options and decks to continue each Adventure Path).